“We had lots of wells and springs in this region. But now there is no water left in any of these and we have to buy our water from the Israeli company Mekorot.” So the mayor of the town of Bardala, Moafag Sawafta. Being the second time in the Jordan Valley I was again impressed by the beautiful landscape. The vast plain enclosed by the stark hills that form the Jordan and the Israeli side of the valley. In the middle, almost untraceable, the small trickle of the Jordan river. We spend nearly the whole day in the valley, visited the village Al-Jiflik, the bedouin community Al-Farisya, that got this year three times destroyed by the Israeli army and rebuilded by the Red Cross and other NGO’s, and also the town of Bardala, where we met with the mayor Moafag Sawafta. 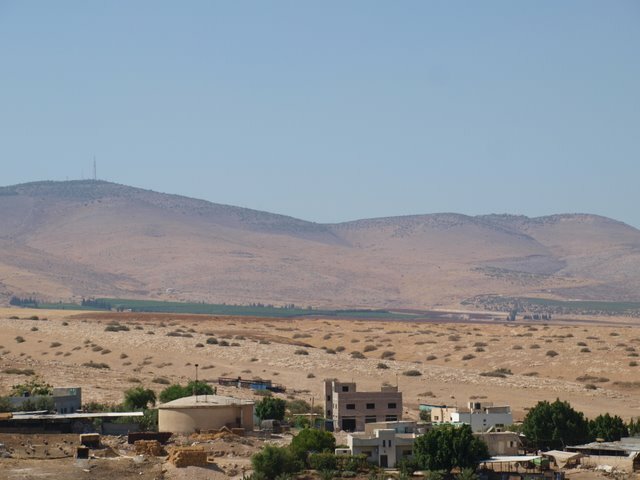 What strucks, driving through the area, is the opposition of rich orchards and neat settlement communities on the one side and poor Palestinian villages and Bedouin camps on the other side. “In some places in our area we have a whole family living in one room”, Moafag explained. Most of the valley is designated as Area C under the Oslo protocoll where Palestinians are not allowed to built any permanent structures without a permit. Because the Israeli authorities almost never issue these permits “we have no space to expand”, so the mayor. At the same time the access to water for Palestinians is extremly restricted. While the settlement communities in the Jordan Valley (about 6000 to 9000 people) are allowed to use about 400 Mil qm2 the total Palestinian consumption in the West Bank is about 152 Mil qm2. 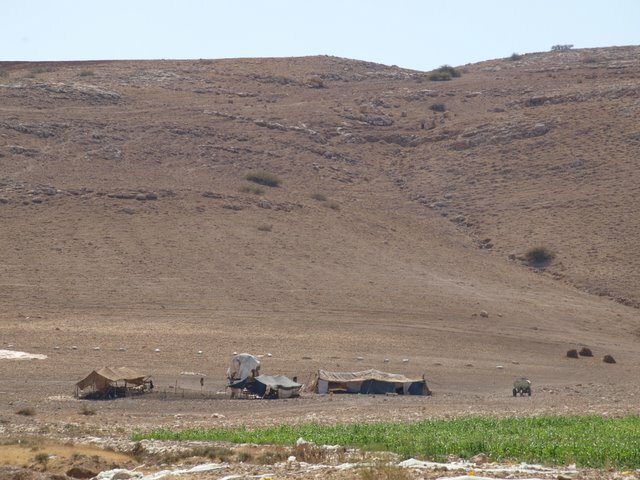 The Israeli authorities will frequently cut off Palestinians in the Jordan Valley from the water supply or deny them the use of water wells. 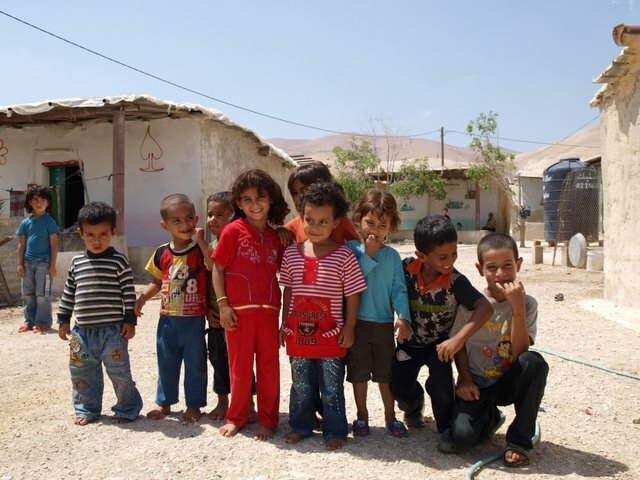 Because of the deep drilled settlement wells the old Palestinian wells provide less and less water. And because of the building restrictions Palestinians are also not allowed to build water resservoirs, pipelines or water harvesting structures. So regularly these structures will get destroyed by the military. 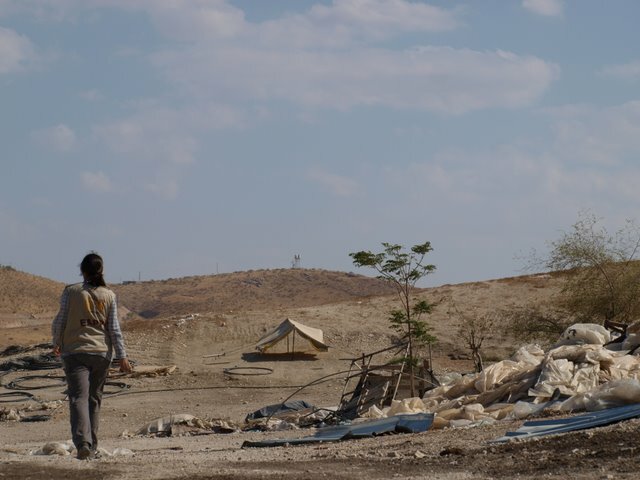 Also Amnesty Internation and Human Rights Watch issued recently press releases about the topic, describing a policy of forced displacement by the Israeli authorities agains the local Palestinian population. To Moafag Sawaftas mind the settlements are the biggest obstacle towards peace, since they not only took away the land but now are also the biggest consumers of water, digging away the necessary ressources for the local communities.